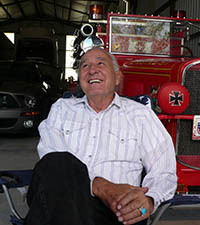 SEMA Hall of Fame - Ben Nighthorse Campbell, 2008, Senator. Since its inception, SEMA has sought to help its members understand and work within the legislative and political arenas, both locally and in Washington, D.C. 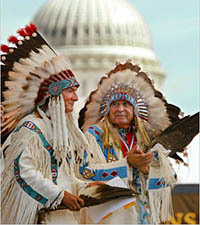 There has been no greater supporter in those efforts than Senator Ben Nighthorse Campbell. An enthusiast himself, Campbell represented the state of Colorado in the United States House of Representatives from 1987–1993 and in the U.S. Senate from 1993–2005. During those terms, he not only raised the automotive specialty-equipment industry’s visibility and worked to protect its businesses and employees, but also helped found the Congressional Automotive Performance and Motorsports Caucus, serving as its first chairman. Campbell grew up in Northern-Central California, where his love of cars and motorcycles began. 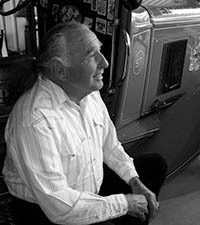 He was raised in the foothills of Auburn above Sacramento in the days when George Barris and his brother were just starting to design custom cars. Campbell served with the U.S. Air Force in Korea from 1951–1954. At the conclusion of his military service, he attended California State University at San Jose, receiving a B.A. and performing graduate work in education. He also attended Meiji University in Tokyo and was a highly accomplished athlete, captaining the U.S. judo team at the 1964 Olympic games in Japan. The multifaceted former senator said that he always had at least a couple of careers going throughout his life. He is a jewelry designer, rancher and trainer of champion quarter horses. He taught college courses for several years while at the same time working nights as a policeman. After retiring from elected office in 2004, he joined the Washington, D.C. law office of Holland & Knight as an adviser on Indian issues, and he remains one of 44 chiefs of the Northern Cheyenne Tribe. While in Congress, Campbell held the position of Deputy Majority Whip and served on a wide variety of Senate committees, including Appropriations; Energy and Natural Resources; Veterans’ Affairs; Environment and Public Works; and Agriculture. He chaired the Senate Committee on Indian Affairs—the first American Indian in history to do so—and was the only American Indian serving in the Senate when he left public office. Campbell said that his entry into politics was almost accidental. He hadn’t planned to run for anything until some party officials talked him into vying for a seat in the state legislature. He served two terms there and was then convinced to run for Congress. When Colorado’s senior senator retired, Campbell won that seat and served two terms. Finally, after 22 years in government, he decided that he wanted to spend time with his family. 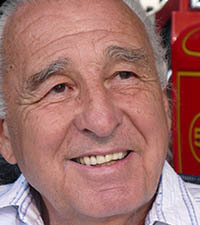 But it is his work on issues of vital importance to the automotive world in general and the specialty-equipment industry in particular that have earned Campbell a place in the SEMA Hall of Fame. 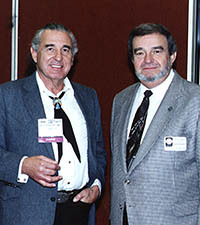 “Senator Ben Nighthorse Campbell was the highest elected official who steadfastly supported the specialty-equipment industry and remained ready, willing and able to help SEMA whenever and wherever he could,” said Mitch Williams, former chairman of the SEMA Board of Directors. Campbell said that killing what was called the “salvage bill” was one of his most satisfying accomplishments. Campbell often advised SEMA on critical issues and helped create more effective strategies and arguments that supported the association’s issues. Senator Campbell has been married to his wife Linda for 41 years. His son Colin embraced his father’s love of cars, recently buying a new Aston Martin, and his daughter Shanan followed her father’s lead into the art world, owning an art gallery and art consulting service. The whole family remains in Colorado.